Generally, it is a criminal offence to intentionally fail to appear in court as directed by a judge or to fail to appear for fingerprints and photographs as directed by a police officer pursuant to a valid court order. This article is intended to provide basic legal information about fail to appear charges in Toronto, Ontario. Those looking for advice on this or any criminal charge should consult a criminal lawyer. Daniel Brown can be reached for a consultation at (416) 297-7200. What if I forgot my court date? Am I still guilty of failing to appear? What If I intended to miss my court date but I had a really good reason for doing so? What happens if I just realized that I missed my court date? What do I do now? Is it possible to have the warrant for my arrest for failing to appear cancelled? 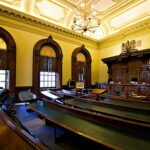 If I surrender myself, will I still be charged with failing to appear in court? What will happen to me after I surrender myself to the police for failing to appear? What are the penalties for failing to appear in court? No. The act of failing to appear for court or at the police station for prints and photographs must be intentional. Therefore the crown must prove that you KNEW you had to attend and you chose not to. Forgetting your court date (even if you were negligent by not writing the date down etc.) will not meet the standard necessary for a conviction. In some circumstances, the court will accept a lawful (read: very good) excuse from an accused person as to why they missed their court date. Attending a job interview or being “hung over” are not likely considered lawful excuses. A lawful excuse usually requires that it would have been impossible for the accused person to attend the appearance. An example of a lawful excuse might be that the accused person was in the hospital with a significant medical condition that prevented them from being able to attend the court appearance. Another example of a lawful excuse may be that the accused person was in jail on another charge and couldn’t physically attend the appearance as required. What usually occurs when a person misses court is that the judge issues a warrant for their arrest. In the circumstance when the person misses their appearance for photographs and fingerprints, the police will issue the warrant. It is possible (depending on when the warrant was issued) to have the warrant cancelled. Usually after two or three days, it will no longer be possible to have the warrant cancelled by the judge. In this instance, the defence lawyer will make arrangements to have the accused person surrender themselves to police to have the warrant processed. 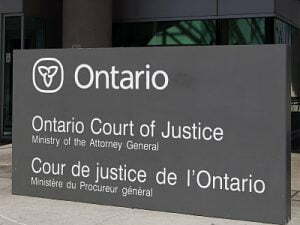 Not necessarily- in some instances, a defence lawyer may be able to convince the police officer that the accused person simply forgot the date of their appearance and that the charge of failing to appear in court should not be laid. In almost every instance, a person charged with failing to appear will be required to attend the police station for processing and will then be brought to the courthouse for a bail hearing. If a charge of fail to appear has not been added by the police officer, the accused person will likely be released back on the terms of their previous release associated to their underlying offence (for which they failed to appear). In other cases an accused person may have to go through the process of obtaining bail on the new charge and also risk the possibility of losing their bail on the underlying charge for which they failed to appear. In some cases, it is possible to be found guilty of failing to appear and not receive a criminal conviction. However, many judges will impose jail sentences up to a maximum of six months for the offence. Regardless of what the penalty is, a finding of guilt for failing to appear in court will be a significant factor at any future bail hearing when deciding whether or not the accused person should be released on bail. If you or someone you know has been charged with failing to appear for court, you should immediately contact a criminal lawyer to determine your best defence to this type of criminal charge. Daniel Brown can be reached for a consultation at (416) 297-7200.